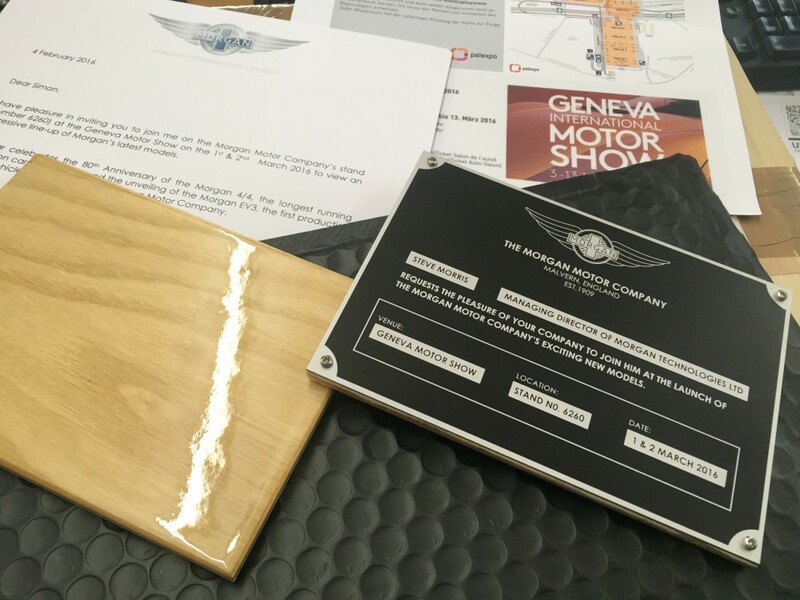 The Morgan Motor Company wanted a different type of invitation card for this year’s Geneva Motor Show. Merrys had the pleasure of printing anodised aluminium chassis plates and mounting them on polished wood used in the actual cars interior trim. We wish Morgan a very successful motor show .